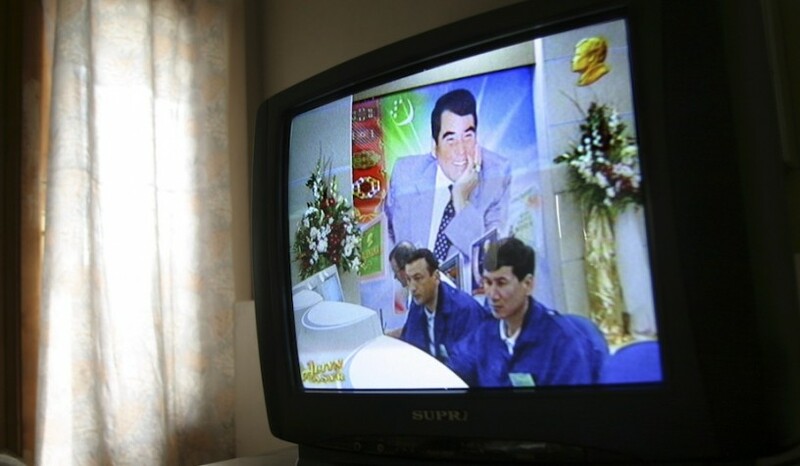 Big Brother: Three channels on state television were devoted to Turkmenbashi. His golden profile shines perpetually in the top right corner of the screen. 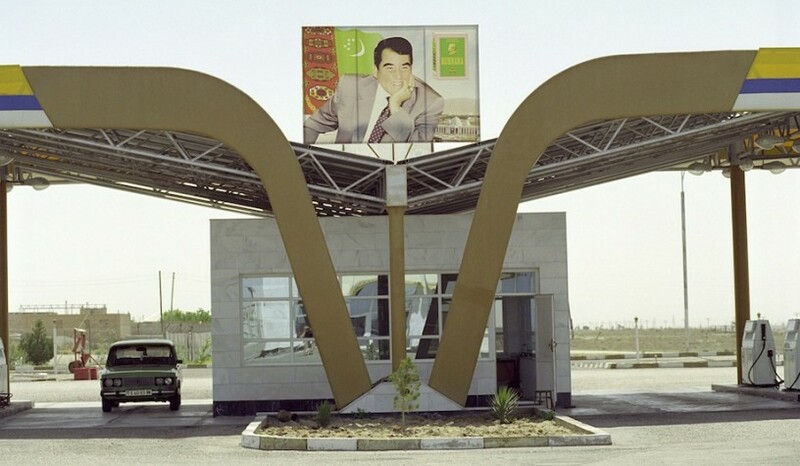 Gas Nation, Gas Station: Petrol in Turkmenistan costs just five cents a gallon. The Father of All Turkmen guaranteed his people free or subsidised goods and services. Electricity and water are free, as are bread, salt and rice. 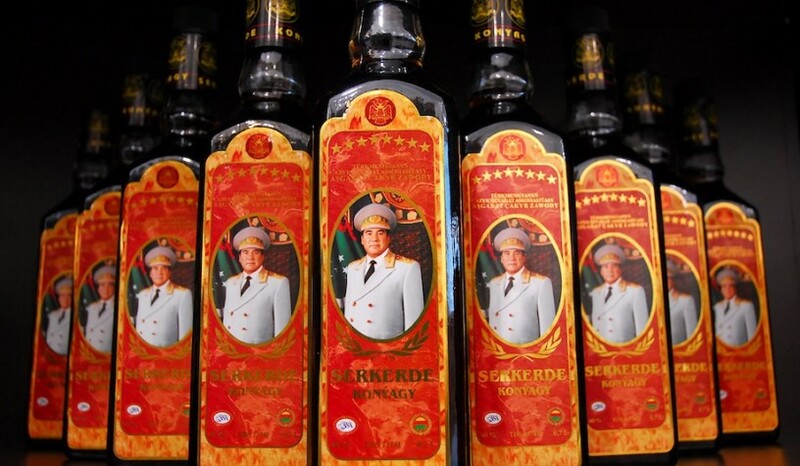 This Drink’s on Me: Turkmenbashi’s very own eight-star cognac. Turkmenbashi (‘Leader or Father of all Turkmen’) was the self-conferred title by which recently deceased President Saparmurat Niyazov of Turkmenistan referred to his position as the founder/president of the Association of Turkmens of the World. Often prefaced by ‘Great’, the true reading of the title was best reflected in Turkmenbashi’s desire to remodel his country around one person: himself. Turkmenbashi (1940–2006) ruled Turkmenistan from 1985 until his death. He became increasingly erratic, closing hospitals and libraries while building an all-encompassing personality cult. Cities and names of the month were renamed after him or his family. His portrait was everywhere, from banknotes and matchboxes to theatres and train stations. Flattering Turkmenbashi became a full-time occupation, essential for currying favour or doing business. One Turkish construction company, which secured a significant number of contracts in Turkmenistan, named a star in the Ursa Major constellation in Turkmenbashi’s honour. The Turkmen people, however, may beg to differ. Under Niyazov there was significant decline in practically every major indicator in the country, and human rights abuses were widespread. 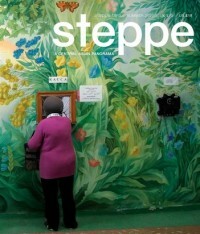 His successor, Gurbanguly Berdymukhammedov, certainly has his work – if not his image – cut out.